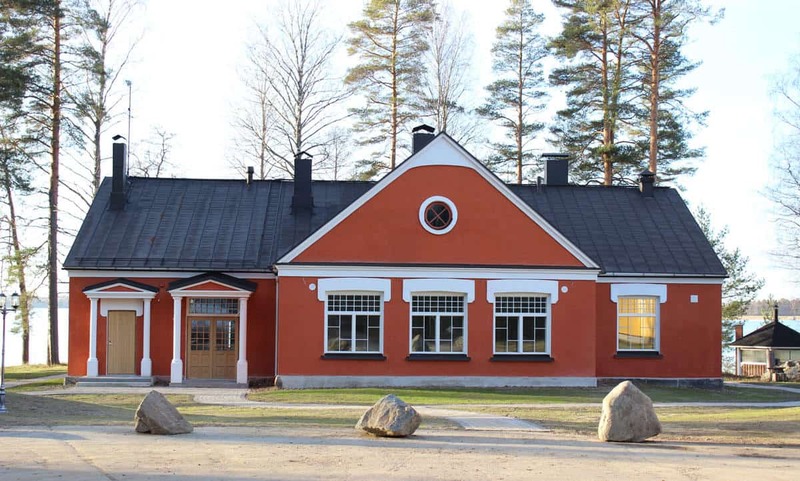 B&B Taipaleenniemi offers you idyllic accommodation in the historic surroundings by the Saimaa Lake. In B&B Taipaleenniemi you can enjoy the relaxing atmosphere of the Finnish forest, use a rowing boat or go to the sauna by the lake. The surrounding region offers you a lot to see and experience – you can reach Savonlinna in twenty minutes by car and Punkaharju as well as the National Parks of Linnansaari and Kolovesi in less than an hour. 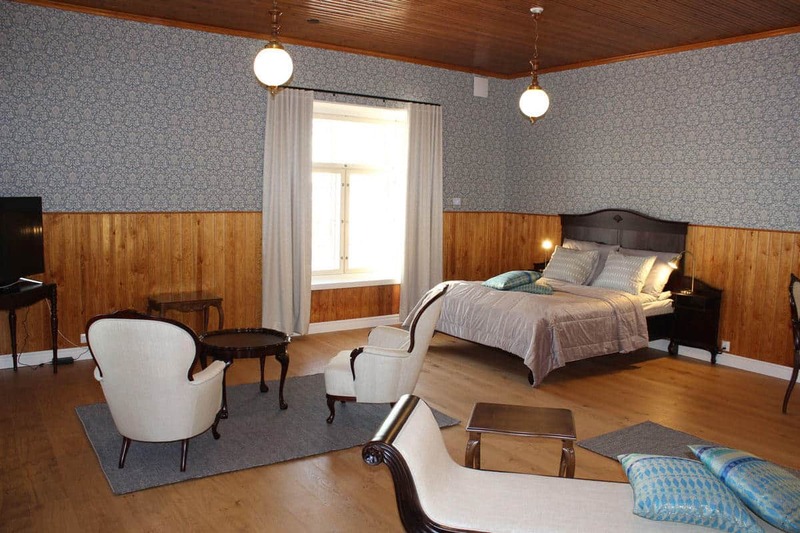 B&B Taipaleenniemi offers you accommodation in different kinds of rooms. 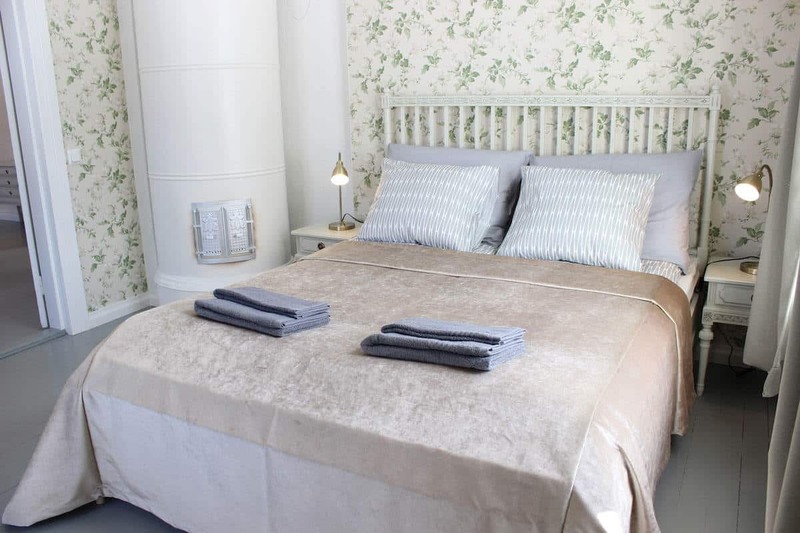 You can choose either a romantic room in the main building or a cosy room in the guesthouse by the lake. The room price includes breakfast, bedlinen and cleaning. The rooms are cleaned every other day if requested. Guests can use the barbeque, rowing boats as well as the saunas by the lake. There is free WiFi for all guests in the premises. There are two spacious double suites in the main building with a private bathroom, both suites with a lake view. The suites are furnished with antique furniture. There is a TV as well as WiFi in the suite. The guests have a possibility to use the kitchen in the guesthouse. A suite occupies max. two over 18-year-old persons. Historic fact: The main building which is made of bricks represents a unique Jugend style which is rare in the eastern Finland. It has been a dairy, school, hostel and venue for different events. There are two double suites in the villa with a private bathroom and kitchen. There is a living room and a lake view in the larger suite. The suites are decorated with country romance style. There is a TV as well as WiFi in the suite. Historic fact: Villa is a log building which functioned as a storage house at first and later a residence for the teachers of the school. There are six double rooms in the guesthouse with a private bathroom in each room. The rooms are decorated with natural patterns and birch furniture. Some rooms have a lake view. There is a TV as well as WiFi in the room. A room occupies max. two over 18-year-old persons. Historic fact: When B&B Taipaleenniemi functioned as a dairy, the guesthouse served as a storage house and a barn. Also later when there was a school there, it was used as a barn because the teachers of the school had the right to keep cows. Later on the building was converted into a guesthouse. We serve delicious food made of local products in B&B Taipaleenniemi. Most of the ingredients come from our farm of Lomamokkila and the producers of the surrounding area. We also have alcoholic drinks such as our own beers and quality wines from small producers. We offer breakfast in the main building, and it is included in the room price. At B&B Taipaleenniemi you can take a boat and go rowing, try fishing, swim or enjoy the warmth of the Finnish sauna. In the forest nearby you can try to find some berries and mushrooms. During the winter season, you can also try tour skating or other activities nearby through our cooperation partners. The nearby areas offer some of the most beuautiful places in the Finnish lake region. B&B Taipaleenniemi has many stories to tell during the past years. In 1912 a dairy was built in Niittylahti and it was called Rajalahden Meijeri Oy. Unfortunately, the dairy had to be closed because of the First World War. In 1924 it was decided that the dairy could be converted into a school, and in autumn in 1925 an elementary school was founded in the old buildings of the dairy. During its busiest years, the school had about a hundred pupils, but during the years the number of pupils decreased and the school was closed in 1967. 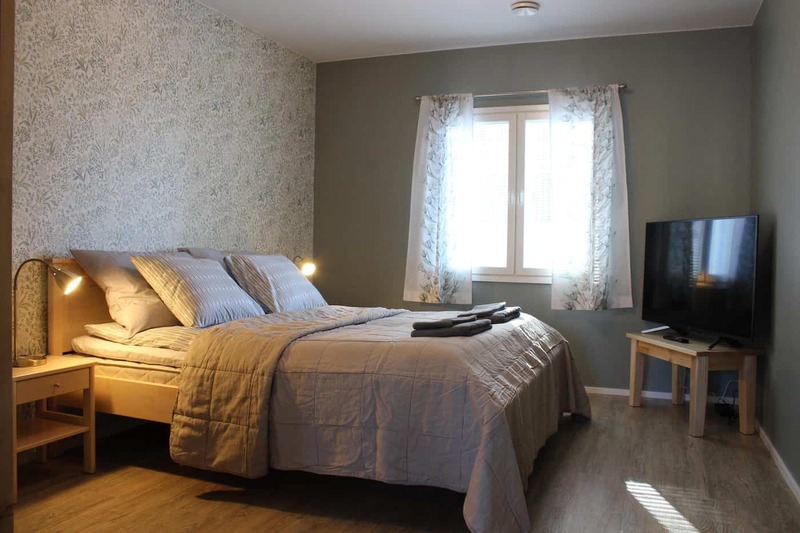 Already before B&B Taipaleenniemi, accommodation has been arranged in Niittylahti. In 1972 a hostel called Niittylahden Lomakoti was founded and it served guests until 1976. The labour association in Savonlinna called Savonlinnan työväenyhdistys bought Taipaleenniemi in 1976 and arranged many events and parties there until 2017. The Savonlinna city centre is 18 kilometres from Taipaleenniemi, so we are only 15 minutes away from Savonlinna by car. 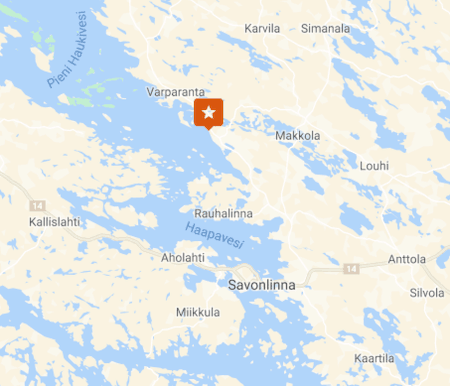 It is also possible to go from Taipaleenniemi and Savonlinna by boat.